The Tommy Dorsey Band was staring at the Palladium when the Japanese attacked Pearl Harbor and Manilla, finally sending the United States into World War II. Simultaneous word on the street was that Jimmy Dorsey’s singer, Bob Eberly, was thinking of going solo. Sinatra and Eberly liked each other, but if Eberly, or Perry Como (who was staring with Ted Weems’ orchestra) decided to go solo before Sinatra, he’d have an even rougher go of it. 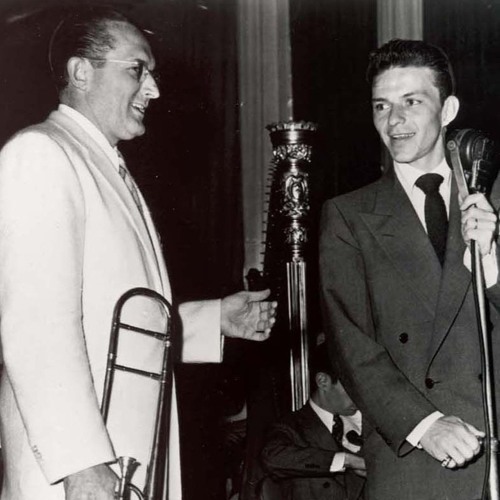 Sinatra pushed Tommy Dorsey to allow him to record some solo songs. Tommy was in hot water with the IRS. He owed $80,000 in back taxes. Sinatra insisted that the solo songs would make the band some money. Dorsey eventually relented, and on January 19, 1942, Sinatra recorded "Night and Day,”, "The Song is You,” "The Night We Called It a Day,” and "Lamplighter's Serenade" at RCA’s Bluebird Records studios. Sinatra used Axel Stordahl as arranger and conductor. Perhaps to Dorsey’s surprise, Frank Sinatra gave his notice in February of 1942, with ten months remaining on his original contract. Dorsey was willing to let him go, but seemingly also felt betrayed that Sinatra would leave. Manie Sacks agreed to sign Sinatra as a solo star for Columbia Records the moment he was legally divorced from Dorsey and RCA. But that's just the beginning of the story.